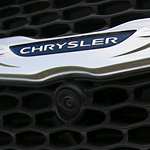 The Stylish Chrysler Pacifica | Richmond Chrysler Dodge Jeep Ltd.
At Richmond Chrysler Dodge Jeep Ltd, we make it easy to get behind the wheel of the new Chrysler Pacifica. Designed to be a sleek and attractive minivan, it has an exterior that is sure to impress. It makes it hassle-free and comfortable to drive around. The Chrysler Pacifica comes with hands-free power sliding doors. Instead of having to put down your groceries, all you'll have to do is kick your foot underneath the sensor. You can also get a hands-free power liftgate to further enhance your loading experience. For your passengers, the Chrysler Pacifica comes with a tri-panel sunroof. You'll be able to enjoy copious amounts of ambient light whenever you're driving during the day. At night, the HID headlamps will make sure you can see what is in front of you. You can choose to also have daytime running lights for additional safety and visibility.